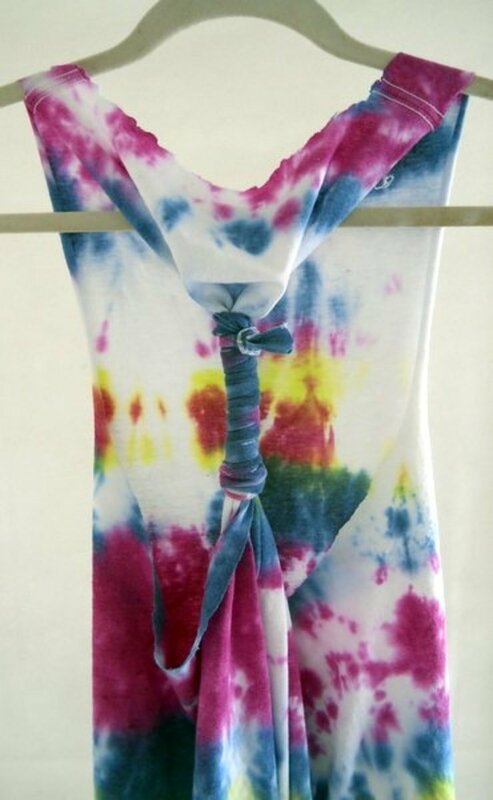 Fleece scarves are very easy and inexpensive to make. We've just made another round of scarves and took pictures each step of the way. 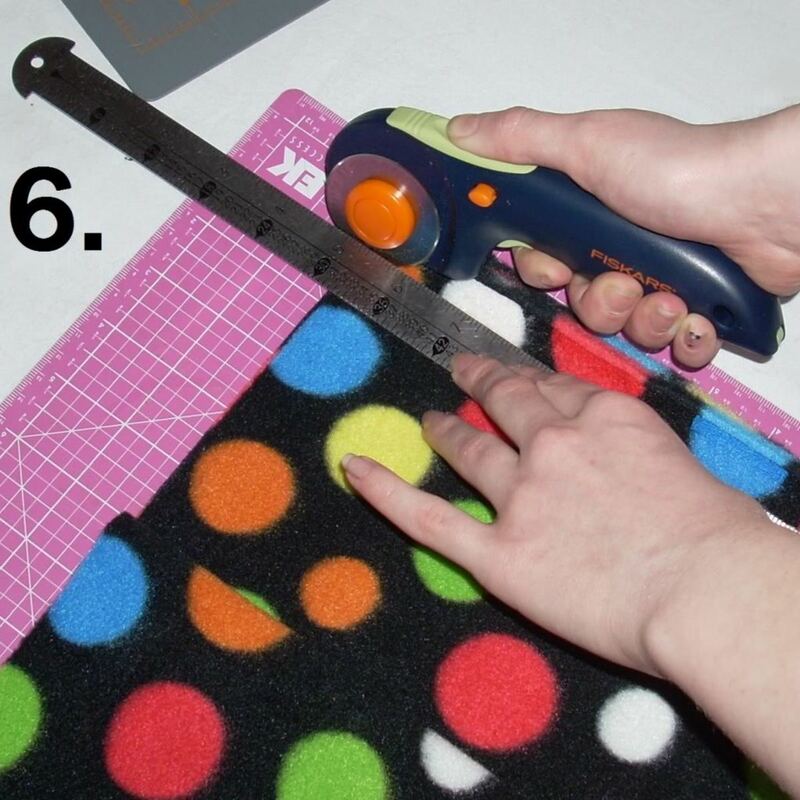 Here you'll find simple instructions, photos and a list of tools and materials you'll need to make a fleece scarf. There's no sewing involved in this craft since fleece doesn't ravel. Yay! Fleece scarves keep your neck warm on a winter day but the best thing about fleece scarves is picking out bright, fun and festive fabrics. 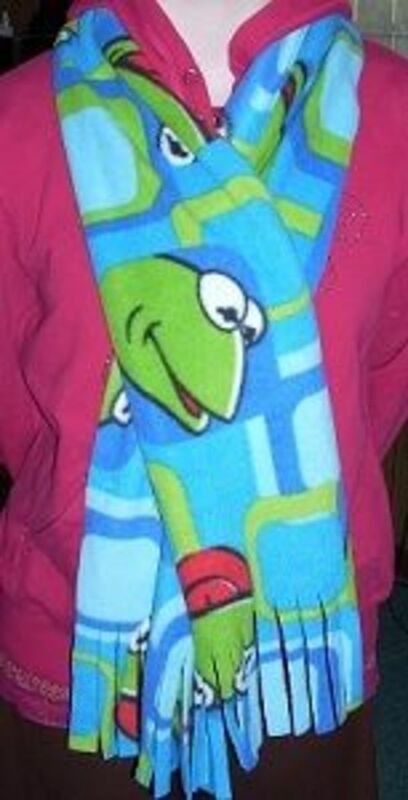 Pictured here is our favorite scarf made from Kermit the Frog fleece fabric. We like it so much that it's always a race to see who calls first dibs to wear it. When I bought this fleece I didn't buy enough to make 2 scarves, only one. If I had known how easy it would be to make scarves, I would have certainly bought enough to make two! 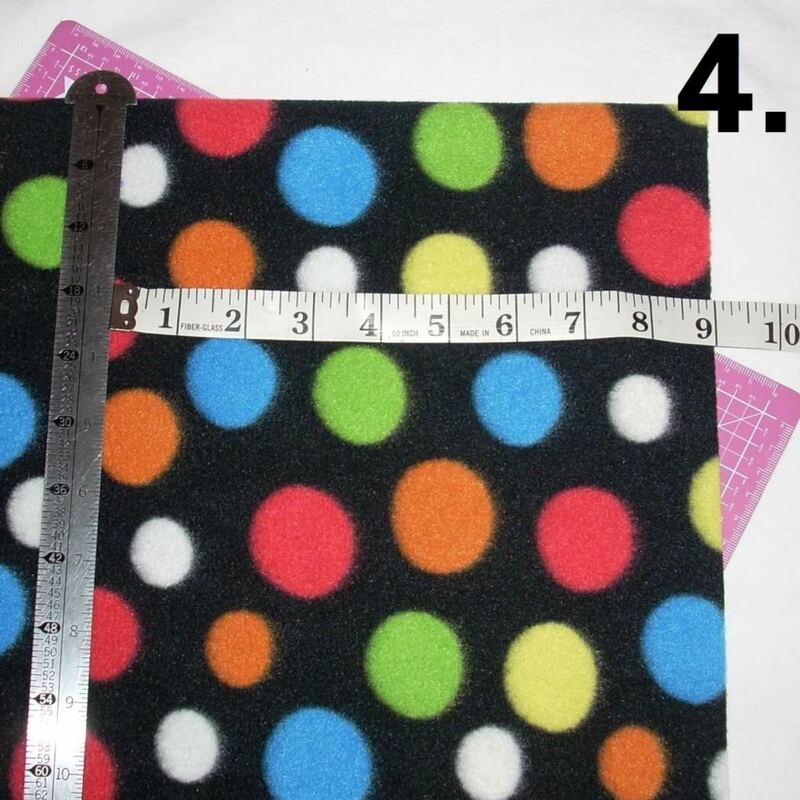 I've added some really neat fleece fabrics near the bottom of the page - they may take a moment to load. 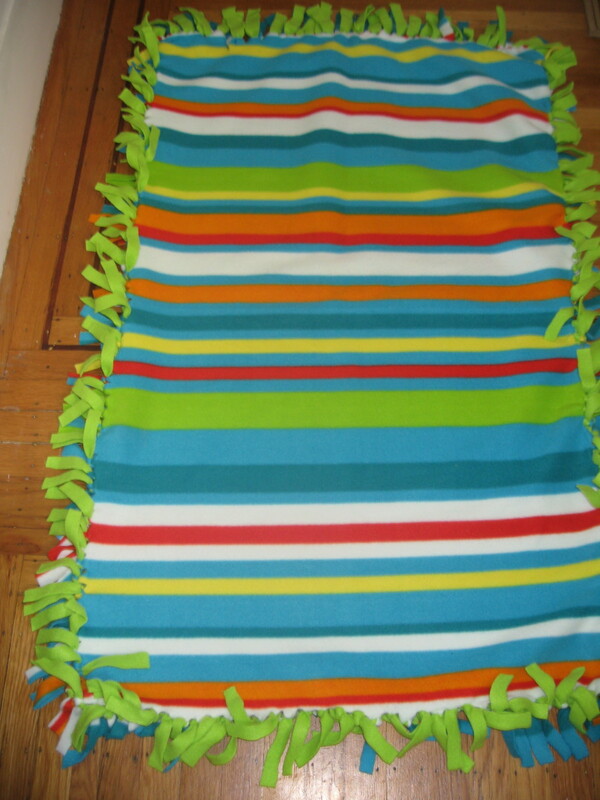 Cut a rectangular piece of fleece fabric 60 inches long and 9 inches wide. Fringe the ends. You're done! Well, there's a few more things to mention so I've added more details and photos below. 1. 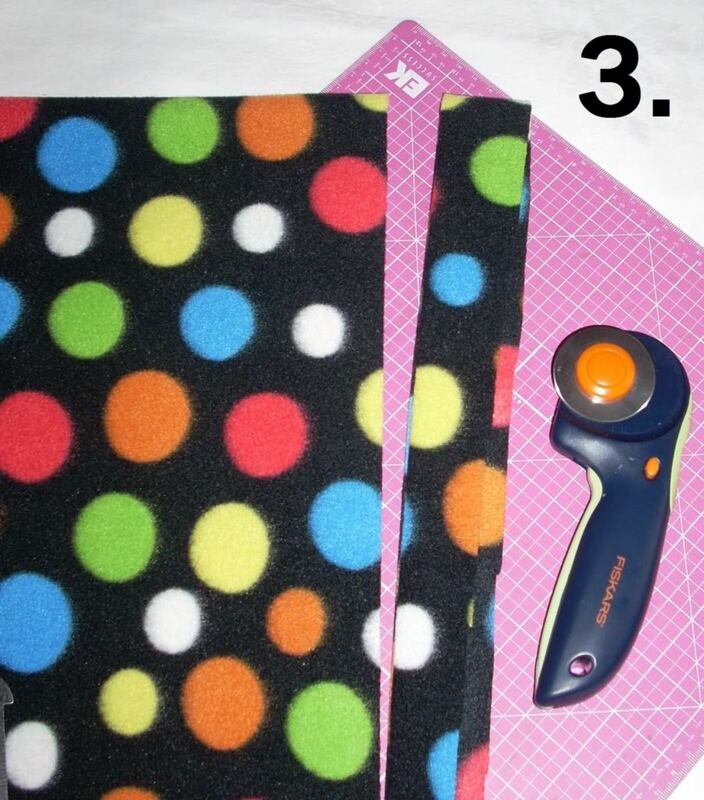 Pick out a nice fleece fabric (I'm going to use the fleece with large solid color dots). More details: Notice these fabrics have no right or wrong direction. I chose them on purpose for that quality. Before purchasing, always visualize how the fabric will be cut out for the scarf to make sure your pattern will be "right-reading" when finished. 2. Fold it in half and smooth it out (Why fold it? It's easier and quicker to cut if it's folded in half). More details: If the fabric is not already folded in half, fold it in half with the selvage edges together. What are selvages? *See my notes below. 3. Important! : Square up the fabric by cutting a nice straight edge. More details: You don't want that wonky edge the lady cut at the fabric store! Starting at the folded edge, cut a nice straight line (at a 90 degree angle from the folded top edge) using a straight edge (ruler) and a rotary cutter (if one is available). This is the most important part of the process and the only thing that is time consuming. 4. Now you can cut at every 9" to make scarves. 5. I had enough fabric to make 2 scarves. 6. Trim the tail ends. More details: The selvage ends are usually kind of ratty looking so I always trim them just enough to cut off the bad part. 7. Cut the fringes at 4" deep. More details: I usually lay a ruler or book to mark how far up to cut the fringe. I don't want lots of different lengths! 8. A beautiful fleece scarf ready for a cool windy day! *Selvages are the factory edges - not the edges the fabric store clerk cut. Think of fabric like a roll of paper towels - the top and bottom of the roll are like selvage edges. Then you can cut the fabric (or tear the paper towels) at whatever length you want. My first choice for cutting fleece. If you already have a rotary cutter make sure your blade is sharp. 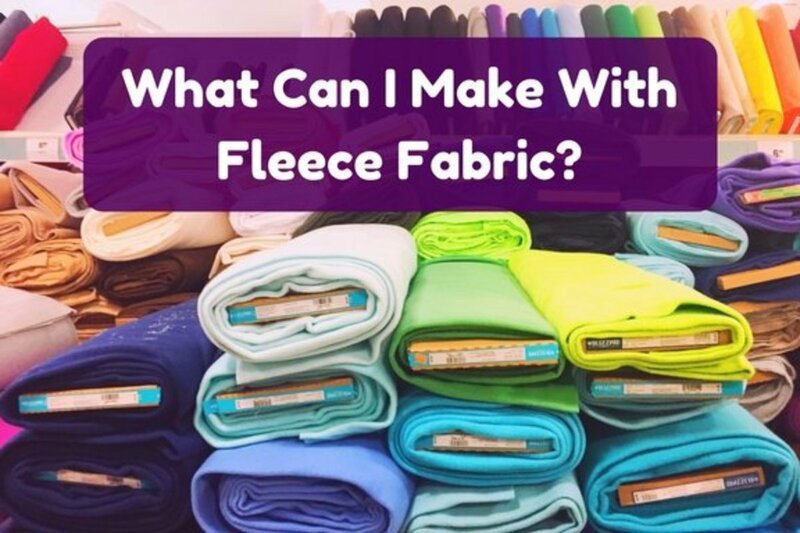 How much fleece fabric do you need? Fleece usually comes 60" wide from the fabric store and you tell them the length you need. Each scarf requires 9" of length so figure accordingly - but remember you'll need some extra for squaring up the fabric so always add a few inches. To make 4 scarves get 1 1/4 yards. IMPORTANT: Be SURE to check the printed pattern of the fabric by visualizing how you will cut it. 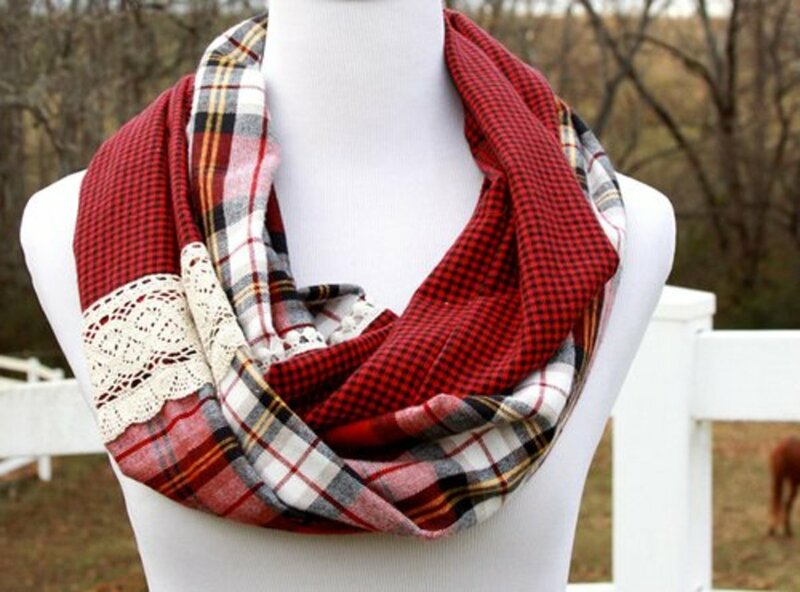 I LOVE LOVE LOVE to Give Scarves as Gifts: Fun + Cheap = Great! Why? Because I can buy really interesting patterns of fleece fabrics (like our Kermit scarf) and match the pattern to the interests of the person who is getting the scarf. For boys use sport themed fleece like soccer or football or even fishing. For girls there's lots of beautiful pink and girly fleece options. Also, the price is right. If fleece is $7.00 a yard, I can make scarves for around $2.25 each. If I find it on sale I could even get it down to $1 a scarf. 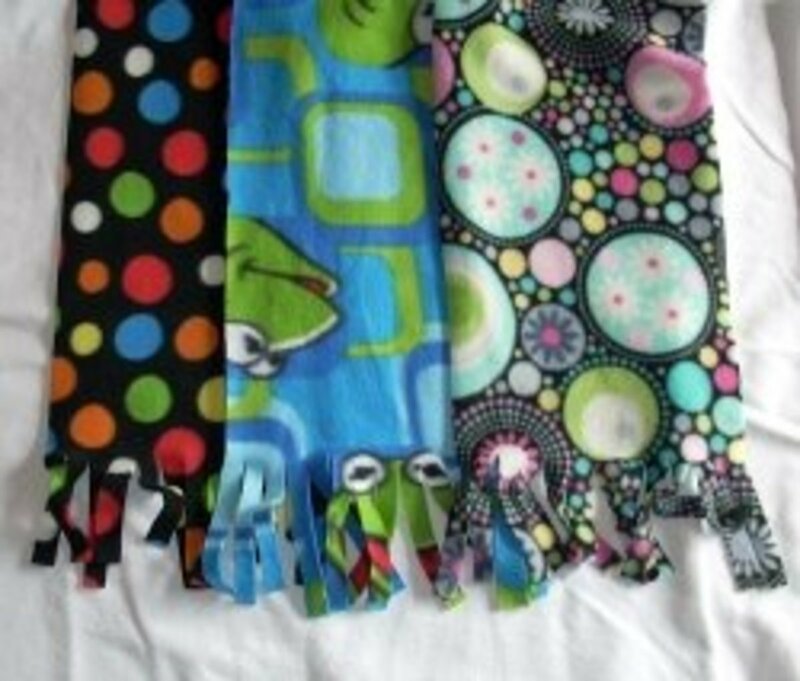 My favorite idea is to make lots of matching scarves for groups of kids, like best friends, clubs or teams. It's also nice to have matching family scarves for Christmas etc. - like making a bunch of matching scarves for cousins in an extended family then take a photo of them all together. From our friends over at Crafts for All Seasons. Here's a bit of added interest - add pony beads to the fringes in matching colors. I'm thinking of all sorts of matchy-matchy colors. Examples shown are snowman, night sky and flowers. This scarf is all-fringe and really cute. I can imagine pink and purple together for a girly scarf. Very hip designs on these scarves. This link is to a Photo of a Beautiful Scarf!!! I think this is fabric and fleece combined. This is one of the prettiest scarves I've ever seen! How long should a scarf be for a young child? 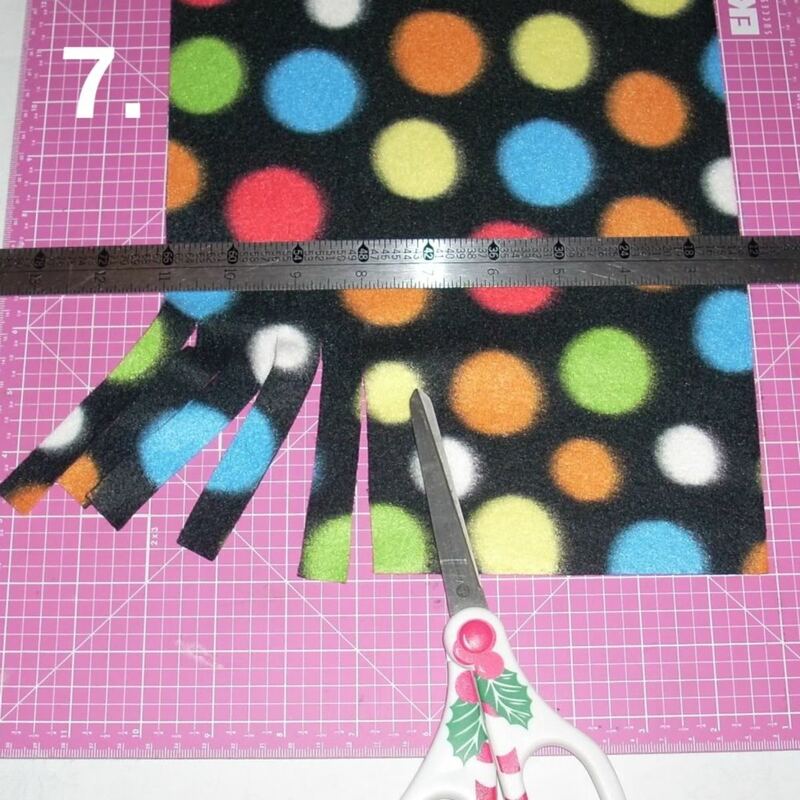 How wide does each fringe get cut when making a fleece scarf? Have you made your own scarves? My teammate and I made these for our kindergarteners for Christmas but she had an amazing idea. Instead of buying felt, we bought a few felt blankets from the bargain bin at Walmart ($2.50 each). 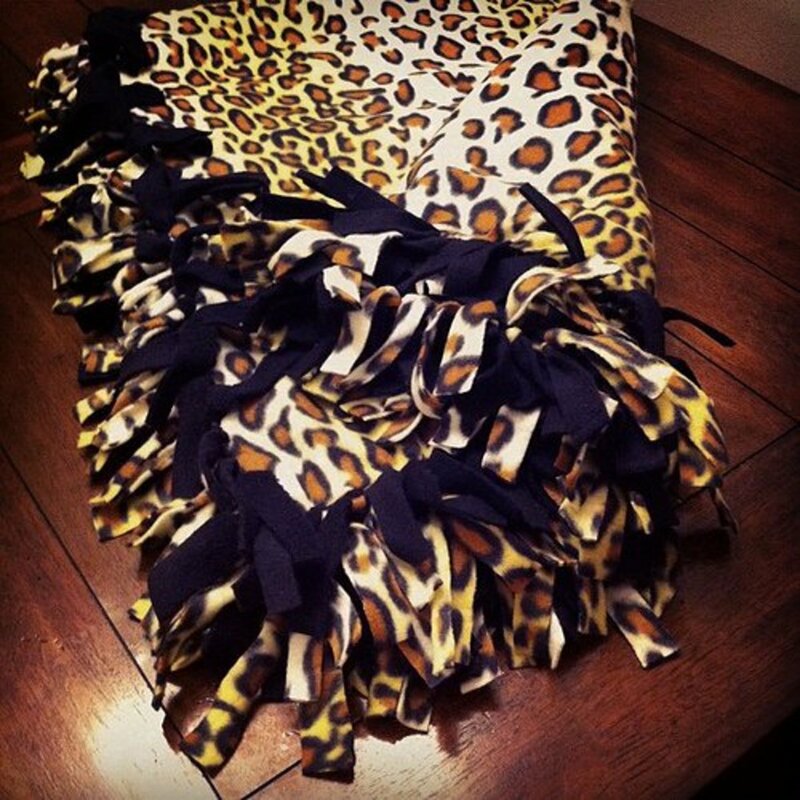 We were able to make 10 scarves per blanket. I cut out 24 scarves for my Brownie troop to finish tonight at our meeting-this is a service project due to so many kids being in need of warm winter clothing. I was able to find fleece on sale for 4.99 a yard and selected 6 varieties. Using the dimensions above, I was able to prep 24 scarves for just over $40-that's $1.66 per scarf. Not too bad! Thanks for the easy instructions. They look like they will turn out super cute! 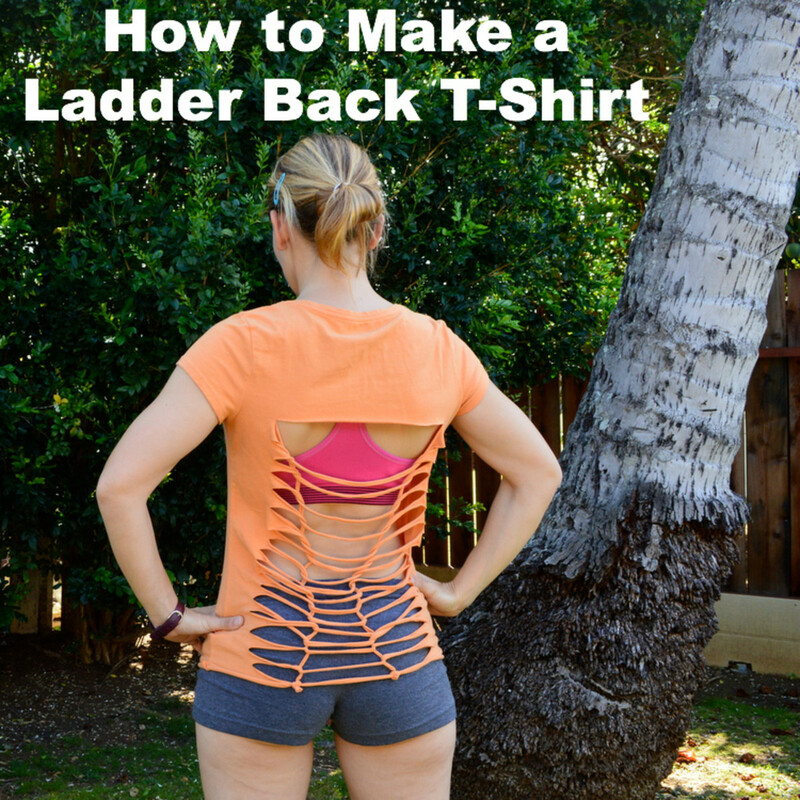 This is so easy, even I can do this one (I'm not so talented at sewing!) 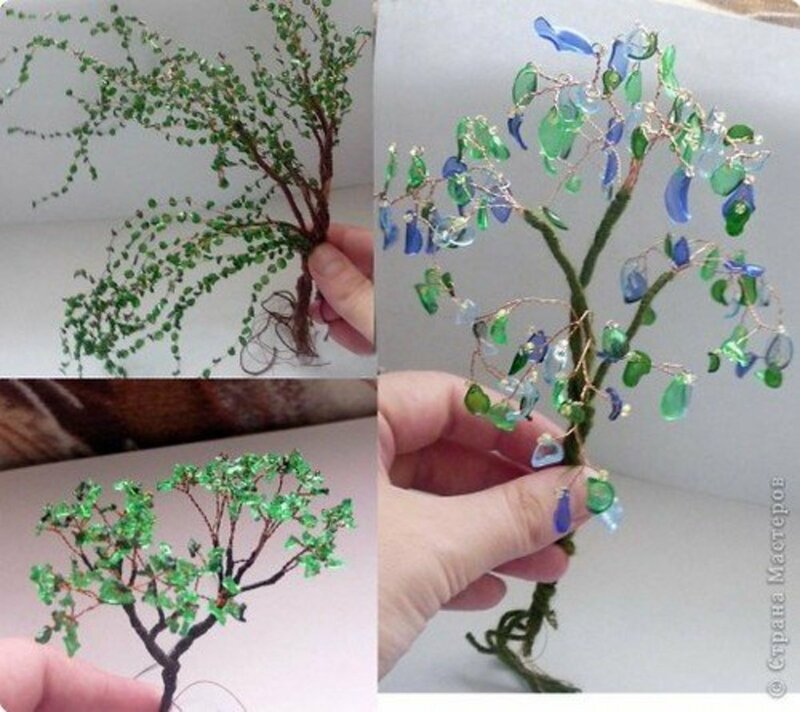 Thanks for sharing this simple product, I've featured your lens on my "50 Craft Ideas for Adults" page. Great Job. Fun stuff, I love mine and yes very easy. Thanks for explaing simple steps. Wonderful easy to follow directions....blessed. 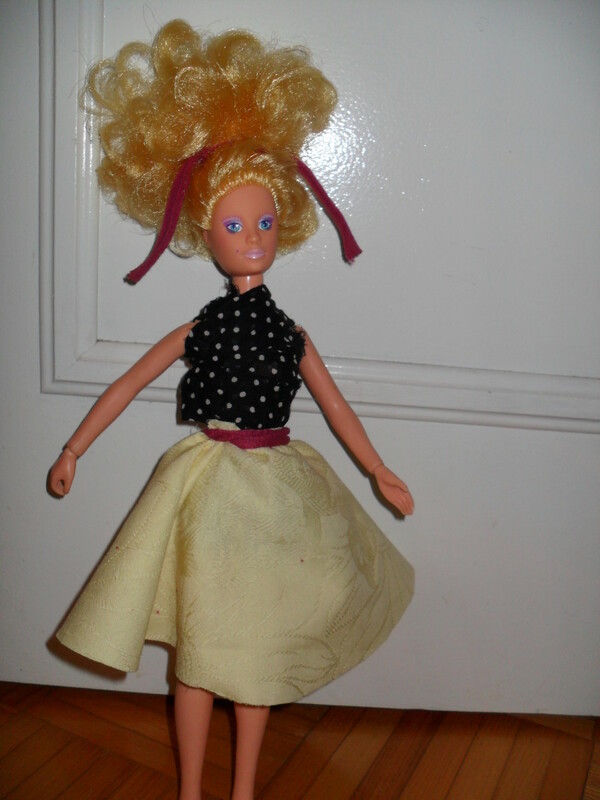 I made these a few years ago...the kids loved them! I've knitted my own, but if it's this easy to make a fleece scarf I'll be trying it! A sweet project.